Contest: What Are You Most Thankful For This Year? We have teamed up with NAMI TENTOU MUSHI and will be giving away three copies of Ping 1.5+ to three lucky members! The rules are simple just post what you are most thankful for this year, be it video game related or just something your family did for you that you're very thankful for and on Friday November 21st the owner of NAMI TENTOU MUSHI himself will announce his three favorite posts in the comments and those members will receive a download code for Ping 1.5+ in their private messages! The rules are simple, you must be a member of our website to participate "you can join during the contest and then post your entry for a chance to win". The contest is only open to members who live in a region where Ping 1.5+ has been released. Only one entry per member is permitted. You must be 13 or older to be eligible to win in most regions as stated by many national, state, and provincial laws. We look forward to your participation and wish you all the best of luck! Re: Contest: What Are You Most Thankful For This Year? I'm thankful to my friend Nate who has been so nice to me! I am most thankful for my wife. Before I met her I knew nearly nothing about Japan. She is Japanese and has opened up a whole new, exciting world of Japan, it's people, culture, traditions to me. I feel so fortunate, even though she does not like video games! That's neat! One good thing about her not liking video games is I don't have to share my Wii U, but unfortunately no one to play local coop with! We're both really lucky. I'm not an American, but I'm thankful for my family being so wonderful lol. The contest has ended and the winners should be announced soon! Thanks for you participation. Hello, this is Christopher F. Arnold / @Kurisuellegarde. I apologize for being late in deciding the winner as personal problems arose last night with my kids and I spaced everything I was supposed to do. (I think gastroenteritis?) But all good now. I have decided on these three winners! @samurairu wrote: I am most thankful for my wife. Kushina wrote: I'm thankful to my friend Nate who has been so nice to me! I really hope everyone has a good holiday season and enjoy your thanksgiving, and if you aren't American, then just eat tons and tons of food on that day as an excuse anyways. @Kurisuellegarden wrote: Hello, this is Christopher F. Arnold / @Kurisuellegarde. Congratulations to our winners! We'll send you your codes via on-site PM so be sure to keep an eye out for new messages in your inbox. Thank you for the free game code. I will be playing and posting on MiiVerse soon! I hope you have a great holiday season. The codes have been sent and received! 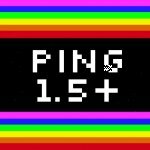 We hope you enjoy Ping 1.5+.